We are at the point in little M's life, and general grasp of people's tones and body language, not to mention that we hope she is starting to understand English, that we are becoming very sensitive to how we handle questions about her. Mainly questions from strangers, some just curious, but some completely inappropriate. I find myself not caring about what strangers think of me as I completely blow them off, but very protective of little M and her privacy. I also am wondering about the vibes I am giving little M. I want her to know that her history, and her family, are her business, and that we do NOT have to share anything personal with strangers. When I am being protective of privacy, I also want to be careful not to convey that little M has anything in her history that we are ashamed of, just because I don't talk to everyone about it. 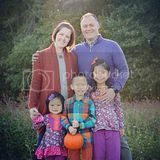 I don't want her to feel that we have anything to hide, and, when she can fully understand us, she will hear that her history and "adoption talk" are commonplace in our household. You would be shocked at some of the things we have heard from complete strangers. Asking where little M's mom is from, or if she is Chinese is inappropriate, and could be confusing to a toddler who is in the process of attaching to her mom at the moment. Even asking where she is from is quite nosy, but I understand people's curiosity. Asking how much a child cost, or how much we paid to get her, is just crazy, and so grossly inappropriate. Even asking us if we couldn't have kids of our own can give little M the wrong impression. She IS our own, and we ARE her real parents. Likewise, referring to her as our adopted child puts an unnecessary label on her. Children are children, whether they are adopted or biological. No one refers to biological kids as such, and giving adopted kids this label can make them feel less than, or inferior to, a biological child. Yes, she is adopted, but that is not her title. I have been asked where her real parents are, why they didn't keep her, and told that what China does to their girls is just awful. I think I mumbled something like "not really," and got away from that person as quickly as I could. 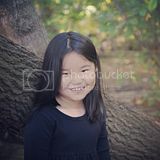 The husband was asked one morning as he was out with little M, what nationality was she, and is her mom Chinese? The husband was so caught up in the monumental mess little M was making with breakfast, that he didn't engage with her, but it did make us think about how we need to be responding to nosy people. Little M is very aware when people talk about her, and I can only hope that her hearing issues are not allowing her to hear some of the things people say. And I hope that she is able to grasp some of the sweet and kind things that people say, as well. I can't say how much I appreciate people who notice that little M and I look different, but simply say how beautiful, or how cute my daughter is. Just "my daughter," not my "adopted daughter." Those people...maybe they are adoptive parents themselves, or maybe they just get it, but those people can sometimes move me to tears with their quiet, sweet sensitivity and their genuine compliments. Those are the people I want to hug, and thank. I hope I am as sensitive and kind to others who are "different" as these wonderful strangers have been to us. I remember Rosie O'Donnell commenting on an obituary that ran for George Burns that said something about him being survived by his ADOPTED children. She said they were his kids for over 60 years and they were still being referred to as adopted! I think people who don't have a personal connection to someone who is adopted (in my case, several cousins) then they just don't get it. I guess all you can do is continue to educate people on it and when you aren't in the mood, give them a dirty look. :-) I Love you blog... Little M is too adorable. Oh... it is a little battle everyday isn't it? The question we get most often is if are kiddos are "real" brother and sister. Really? Of course they are! The fight, hit, laugh, push, kiss, hug, pinch, bite, joke with, and love each other just as any brother and sister. Lately, I've just looked folks dead in the eye after such questions and asked... Really? Most folks are just curious, but still, it's not my story to share. I wish I knew the right answer. Till then, just making it up as I go along! I will never understand some people! No matter what the situation there will always be people who say the most inappropriate things! I'm at the point though that for the most part, it amuses me! Oh, how I can identify with this! I thought maybe the situation would be a little differnt in a culturally more diverse place, such as the States (I am Swedish, and, nope, not everyone is tall and blond, but we don't have the same history of immigration from all over, even though that is, luckily, about to change) but aparently you struggle with the same issues. It bugs me too, that people think they know everything about my son (and my husbund and me) by just taking a short glance at him. Thank you for writing! 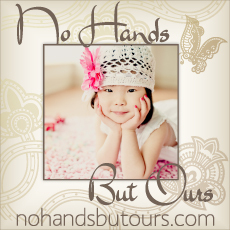 I love your blog and think your daughter is just fantastic! I don't know any adoptive families personally, although my husband and I have discussed adoption for our own family in the future. I am lucky to have a biological son, and another baby due this summer, but I imagine the joy of bringing any child home to our family would be the same - a joy. I am sorry that people have been ignorant. Curiosity is natural, but the inappropriate comments are just plain rude. People who have not experienced adoption do not understand. I won't assume that I do, but I certainly appreciate reading the perspectives from people who have been or are going through adoption. Perhaps one day, I will know what a blessing it is! Our girls are getting old enough to answer the questions themselves at times, but we always try to be polite and help educate people. When they say "How much did it/she cost?" We always say that "She" is priceless, but our government always requires fees, our agency charges, it costs to travel, etc. 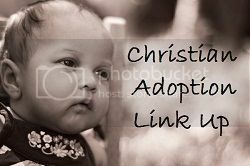 We have met many people who have adopted or are adopted themselves! They ask the questions because they are interested and find our family very beautiful...which we agree! Only a few times have we had questions that we feel are inappropriate and then we visit with our girls about what was asked and how they feel about it. It always opens up conversation in our family with our children who in turn are learning to answer the questions head on. As our girls get older, if they wish that we do not discuss things like this we will try to do what they want. However, I have always warned them that it is our right as parents to embarrass our children!! JMHO....it was nice meeting you in China! !